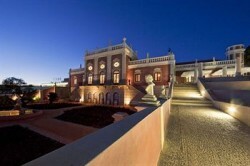 Hotels in Faro are plentiful and offer good value for money. Whatever type of accommodation you are looking for, you are sure to find it here on the capital of southern Portugal’s Algarve region. 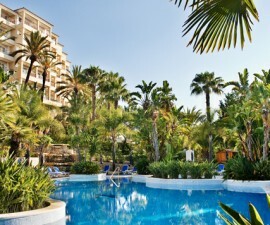 in some of the Algarve’s most prestigious holiday and leisure resorts. Staying close to the airport is an excellent option for business travellers or those who are in Faro overnight on a stopover before moving on further afield. The Hospedaria Frangaria is a modern hotel complex ideally located just a stone’s throw from the airport yet within a few minute’s drive of the coast. Its spacious rooms and good food offer excellent value for money in a convenient location, close enough to the sandy beaches to enable its guests to grab some relaxing downtime on for a quick sunbathe and swim no matter how hectic their itinerary. If you do have the time to explore Faro in a little more depth head to one of the city centre hotels in Faro such as the Hotel Eva Faro or the Hotel Faro to ensure you have all the amenities and historical sites of the city right on your doorstep. Choose the Hotel Eva Faro for its fitness amenities and rooftop pool or the Hotel Faro for its well-known restaurant offering panoramic views out over the city. Guests looking for a more rustic retreat in historical surroundings might opt for the five-star Pousada de Faro, located in the renovated Estoi Palace some eleven kilometres from the city centre on the site of the famous Roman ruins where they can enjoy some of the most luxurious accommodation in southern Portugal. The smaller Quinta Jacintina Hotel, also known as My Secret Garden Hotel, is an exciting alternative offering quirky boutique accommodation with plenty of on-site amenities. The Algarve is well known for its resort develoments and the area around Faro is no exception. 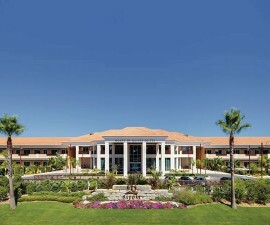 The Formosa Park Hotel & Apartments at Almancil offer comfortable four-star accommodation in a beachside location while the luxury Ria Park Garden Hotel, nestled in the pine forests of the famous Vale do Lobo golf and beach resort, is a fine example of Moorish-inspired modern Portuguese architecture and has no less than six golf courses within easy reach. Similar offerings with a strong emphasis on sport and fitness are available at the four-star Monte da Quinta Club, set within the Quinta do Lago golf and leisure resort. 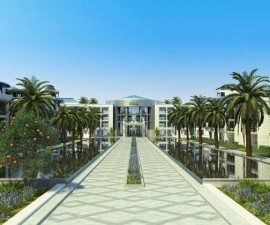 Quinta do Lago is also the location of the latest addition to luxury Algarve hotel scene, the Conrad Algarve. Scheduled to open during the 2012 summer season it offers the ultimate in luxury and decadence for the discerning golfer, leisure tourist or business traveller. 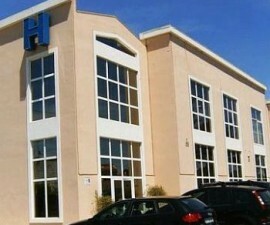 However long your stay and whatever your budget, there is no shortage of hotels in Faro, Portugal to meet your needs.